I set up this blog to showcase my OOAK sculptures. There will just be pictures on here with descriptions of each piece. PLEASE NOTE: To all who have placed comments regarding their websites in order to sell their wares...I will monitor all comments and such posts will be deleted. 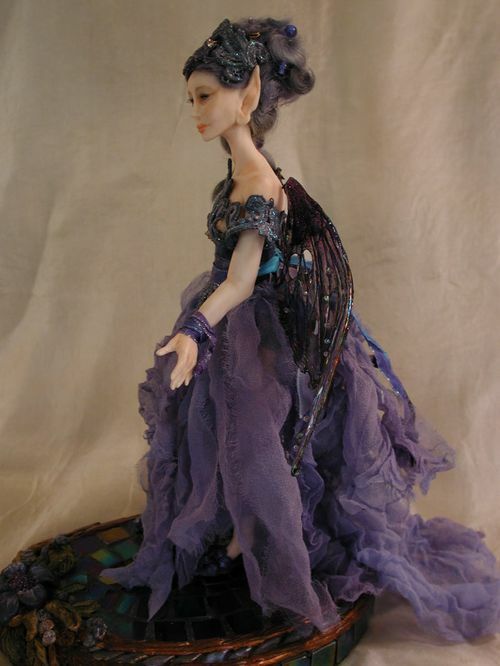 She is a 9" sculpture of puppen fimo, dressed in hand dyed silk, silk ribbons and antique lace appliques. Her wings are mixed media and she stands on a hand made mosaic base. 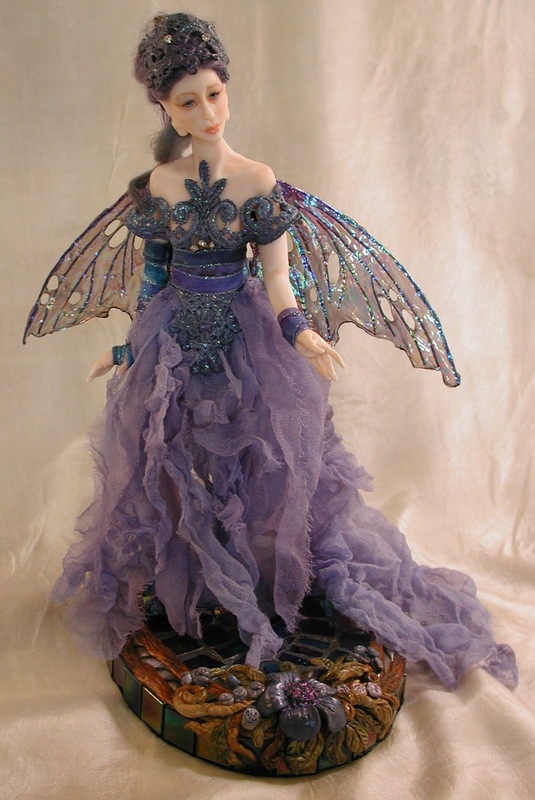 All of my sculptures are OOAK.